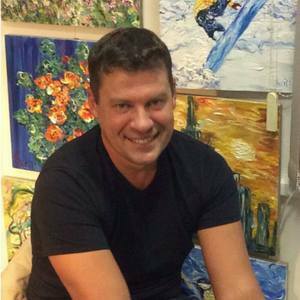 Kirill Sukhanov (1974) was born, grew up in Moscow and since childhood he loves painting. To draw means to breathe and feel. The sequence of images, thoughts, emotions, life saturation, juiciness of colors - that is what his pictures consist of. The movement of energy, the beauty of nature and man is the true goal of his creativity.